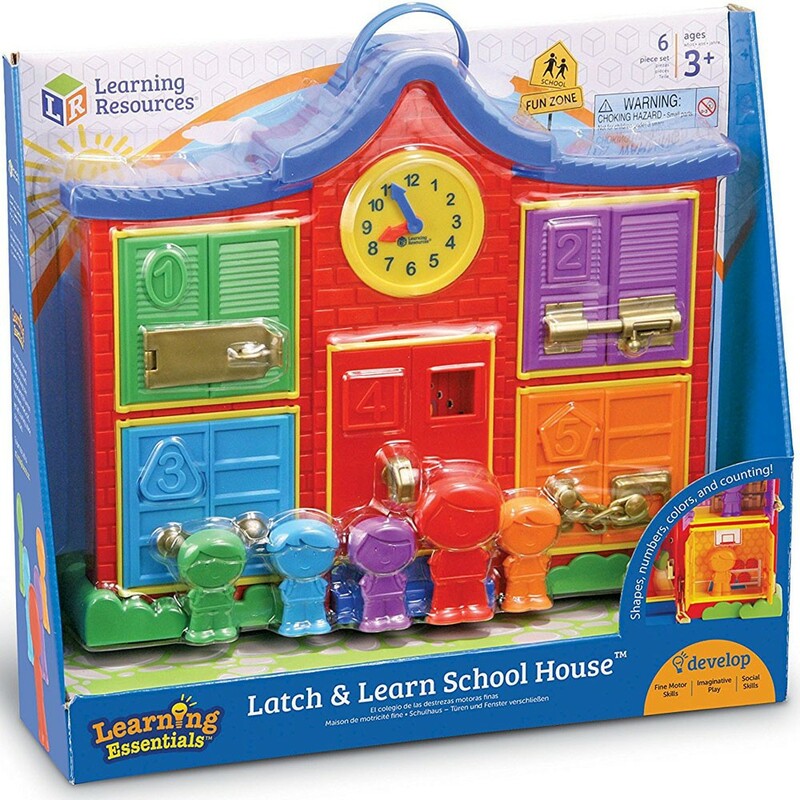 Unlock the latches, match the students to their color-coordinated classrooms, learn counting and reading the clock, and play pretend school with this multiFUNctional Latch & Learn School House. 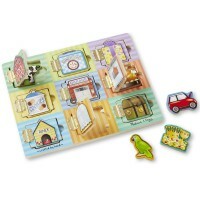 Play hide-n-seek with the school students and teacher and learn how to open various locks and latches! 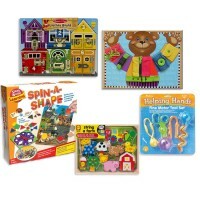 Latch & Learn School House Manipulative Activity Toy is a new Learning Resources' set that teaches so many skills in playful way! 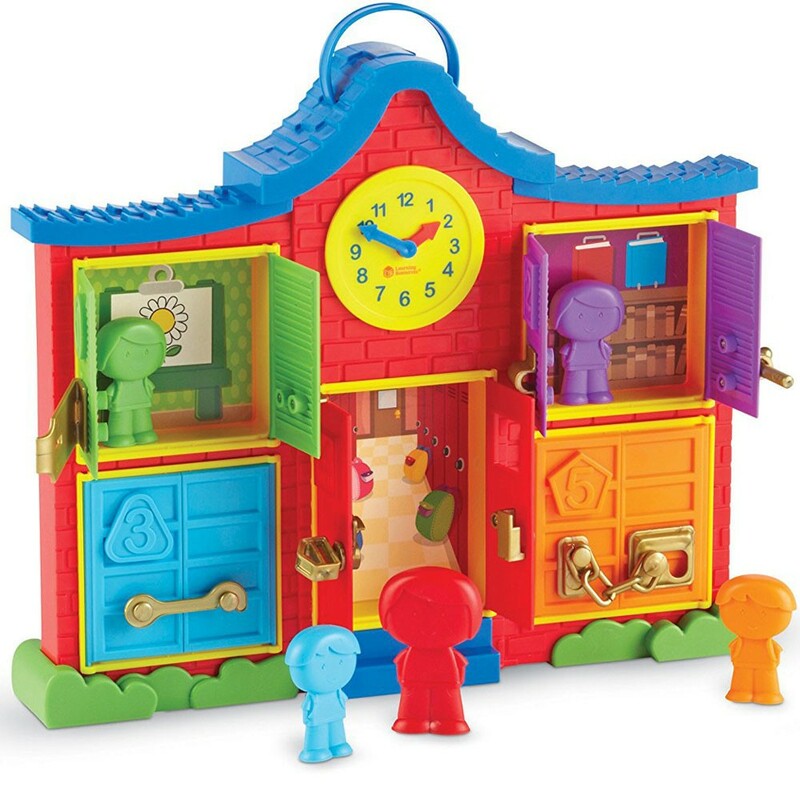 This fine motor skills development toy features a school building shaped board with 5 doors, wall clock with moving hands, and carrying handle. 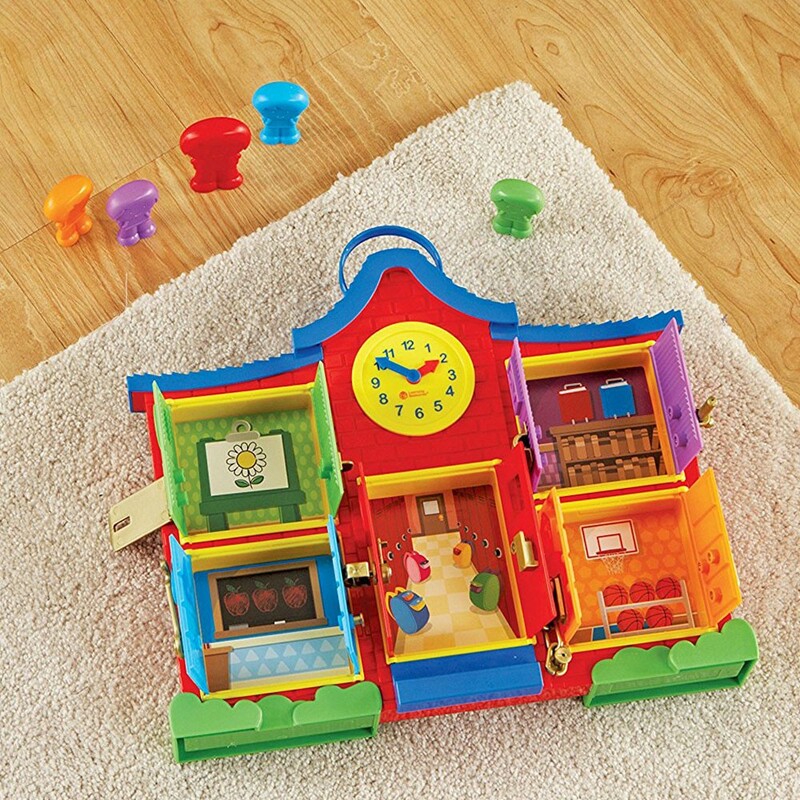 Each door is a different color, and has a handle and some special latch that the little hands can open. Each door reveals a color-coordinated classroom or school room. 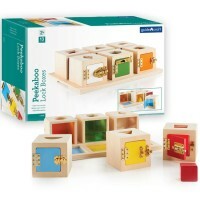 The latch playset from Educational Toys Planet comes complete with 5 figurines in 5 colors. Unlock, unlatch, and open the hinged doors. 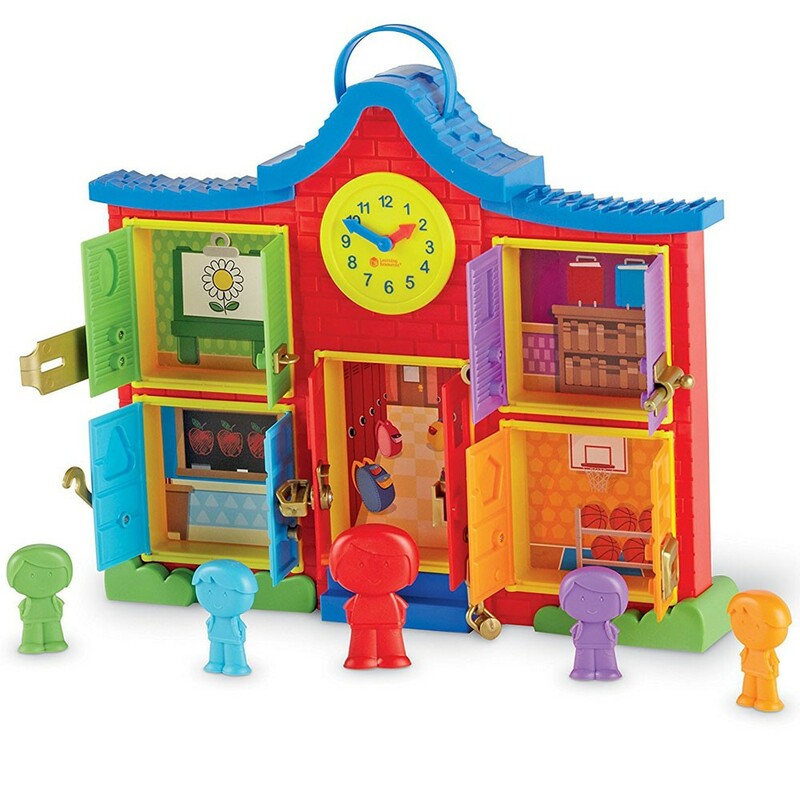 Match each character to the right door color. 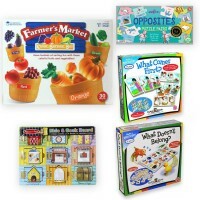 Play hide-n-seek with the toy figurines. 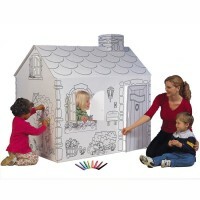 Or play pretend school with the teacher, students and unlocked school classrooms. 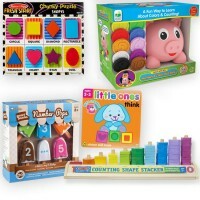 Don't forget to count, find hidden numbers, name colors, read the clock, and teach the characters useful things. 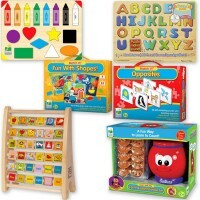 There are so many fun ways to play and learn with this latch board. 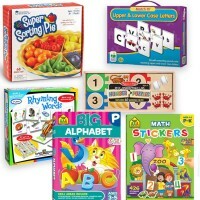 Dimensions of package 12.9" x 15.1" x 2.1"
Write your own review of Latch & Learn School House Manipulative Activity Toy. 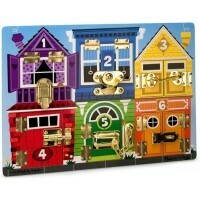 Rating: 4 Fun toy by By A customer My daughter loves all the doors and locks. However, over the past year some of the doors have broken off (held on by just a small plastic dowel). But she still loves to play with this and the little dolls that came with it. Rating: 1 Garbage by Jaimie Extremely poor quality! The door broke off 30 seconds after opening the box. Rating: 5 Five Stars by By A customer Nephew loves it!!! Rating: 5 It does not make any sound but my grandson loves it! 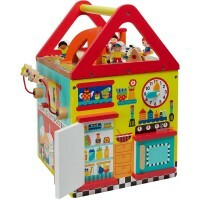 by By A customer My 1 year and 2 months grandson loves this toy! He loves to open the doors and windows and take out the little people, as well as to put them back and close the doors and windows, again and again. Every time I play with him I use this toy to teach him colors. This toy is strongly and solid built for a plastic toy.